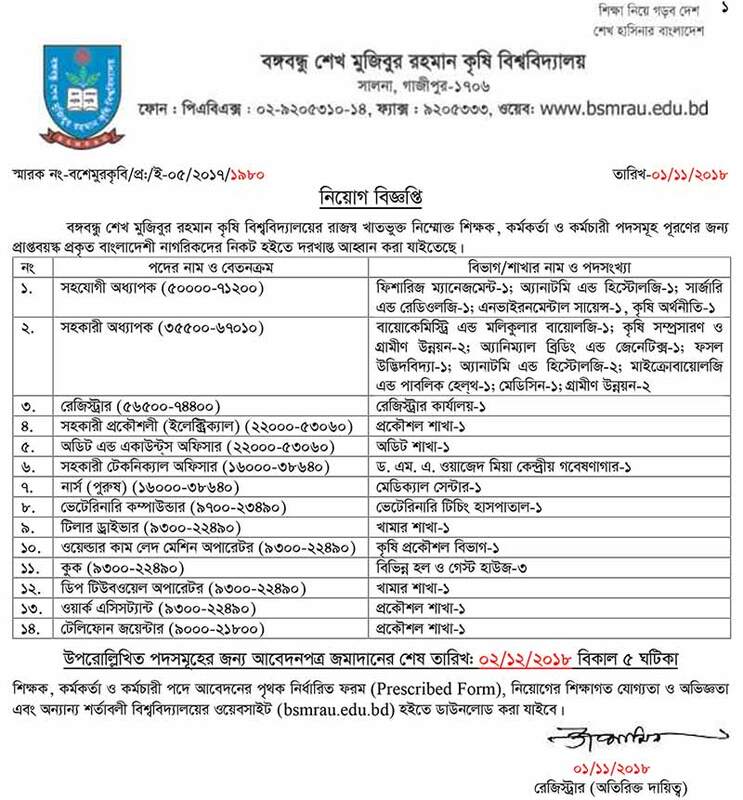 BSMRAU Recruitment notice has been published in Bangabandhu Sheikh Mujibur Rahman Agricultural University situated in Gazipur. The company will appoint 31 people in 14 posts. Both women and men can apply in the post. You can also apply if you have interests and qualifications. 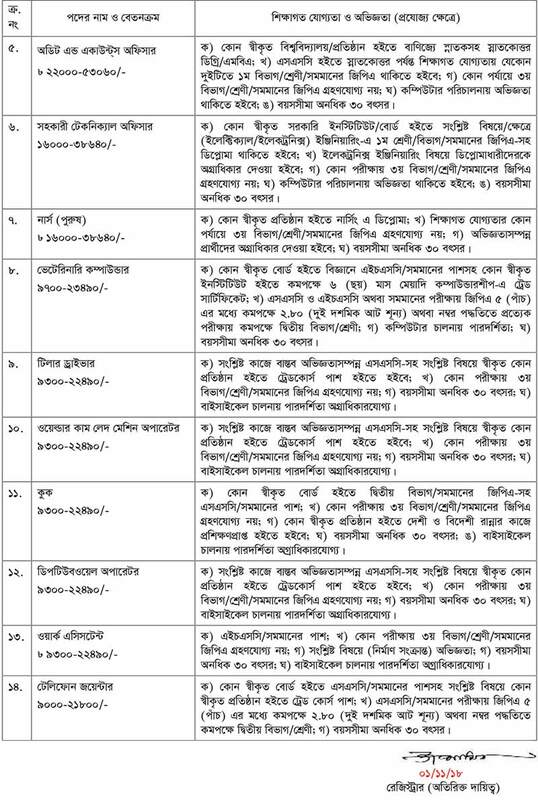 An application from adult genuine Bangladeshi citizens is being called to fulfill the following teachers, officers and employees posts of revenue department of Bangabandhu Sheikh Mujibur Rahman Agricultural University. Category: Fisheries Management, Anatomy, and Histology, Surgery and Radiology, Environmental Science, Agriculture Economics. 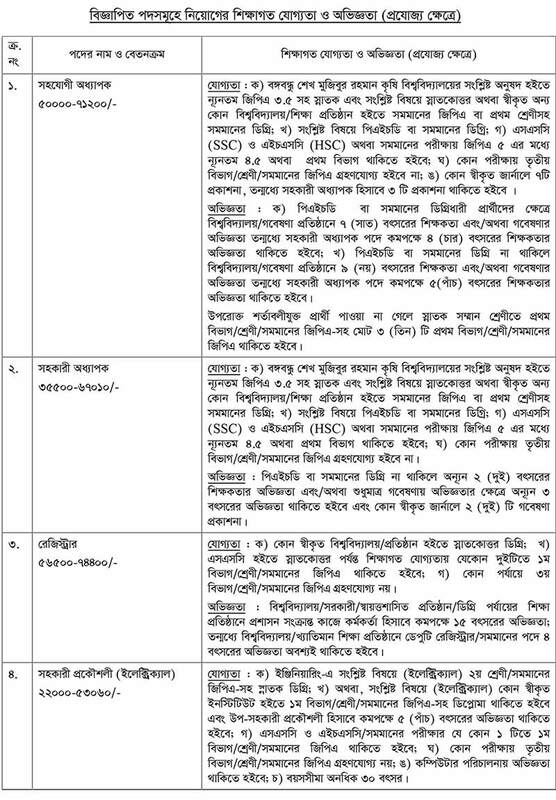 Department of Biochemistry and Molecular Biology, Agricultural Extension and Rural Development, Animal Breeding and Genetics, Crop Botany, Anatomy and Health ology, Microbiology and Public Health, Medicine, Rural Development. Category: Dr. M. At the Wazed Mia Central Laboratory. Online Applications Address: As per As Circular. Application deadline: 02 December 2018. 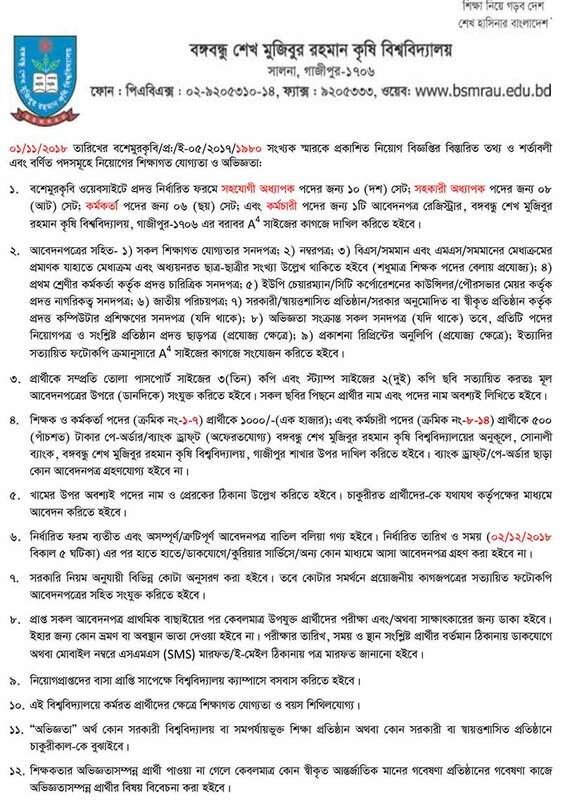 This page related to: BSMRAU, Bangabandhu Sheikh Mujibur Rahman Agricultural University, Mujibur Rahman Agricultural University.